Canterbury Earthquake Recovery Minister Gerry Brownlee has congratulated everyone involved in the development of Christchurch’s temporary AMI Stadium at Addington for winning the prestigious Project of the Year Award at The Stadium Business Awards 2013. “To be awarded Project of the Year alongside the operators of famous facilities across the globe is huge recognition for all those who set out to, and achieved, construction of a stadium for Christchurch in under 100 days,” Mr Brownlee says. Nominees from around the world attended a gala dinner at Emirates Old Trafford in Manchester on Friday. The Project of the Year Award went to AMI Stadium designers Populous and project managers RCP. 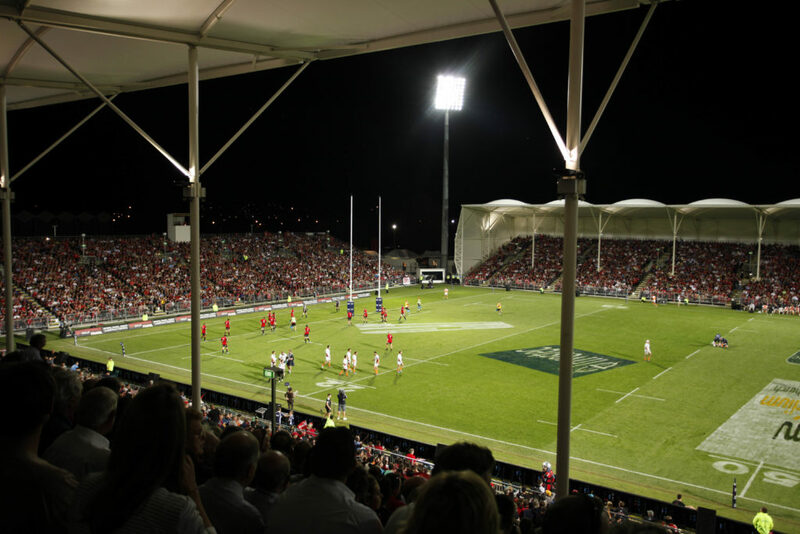 Mr Brownlee says the Government built AMI Stadium to help increase morale following the earthquakes, and with over 300,000 paying customers through the gates to date it has proved a much needed outlet for the community. “I take my hat off to those who designed the stadium in under six months, and built it in less than 100 days, delivering a cost effective facility to the highest possible safety standards with great atmosphere. “It’s fitting that AMI Stadium will this weekend play host to the All Blacks and France,” Mr Brownlee says.